Lately, more and more SUV or bigger bodied car guys have been bringing their cars by to have vinyl work done. 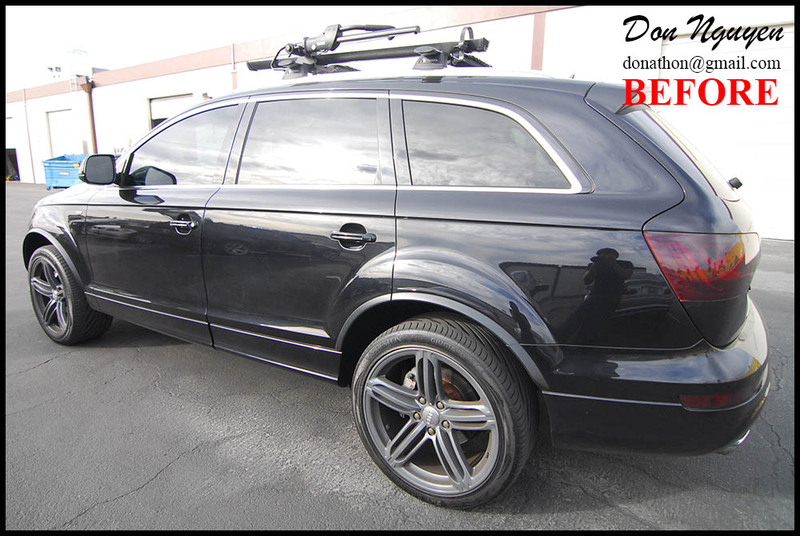 The owner of this black Audi Q7 SUV had me vinyl wrap the chrome window trim on his car with my matte black vinyl material. In addition to wrapping the roof, I plasti dipped the grill in a matte black finish as well to match. It was a night and day difference for this car, especially with his already tinted windows and since there was no other chrome on the car other than the pieces I wrapped and dipped. The owner of this car was from south Orange County and came up to me in Anaheim Hills to get the vinyl work done.